This is no small, single-serving dessert. It’s a full quarter sheet pan! 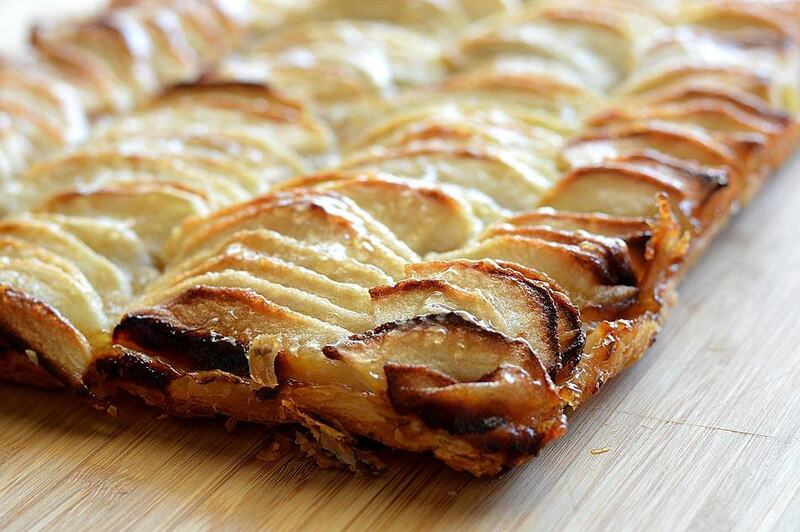 The pastry is lined with a thin layer of apple sauce and sliced apples. Melted non-dairy margarine is brushed over the slices and given a generous sprinkling of sugar. 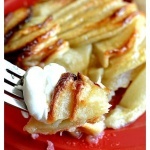 Baked for 25-30 minutes or until golden and finished with a gently warmed apricot or apple jam. I served it with non-dairy whipped cream. The edges get all golden and caramelized. Soooo delicious. I like mine warm, but you may prefer it chilled which is fine too. Just a word of caution. We are dealing with hot sugar here, so give it a few minutes to settle down once removing it from the oven. The puff pastry comes frozen, so there is a little bit of prep work to be done. First off, 40 minutes to thaw. Then unfold and thaw for another few minutes if necessary. 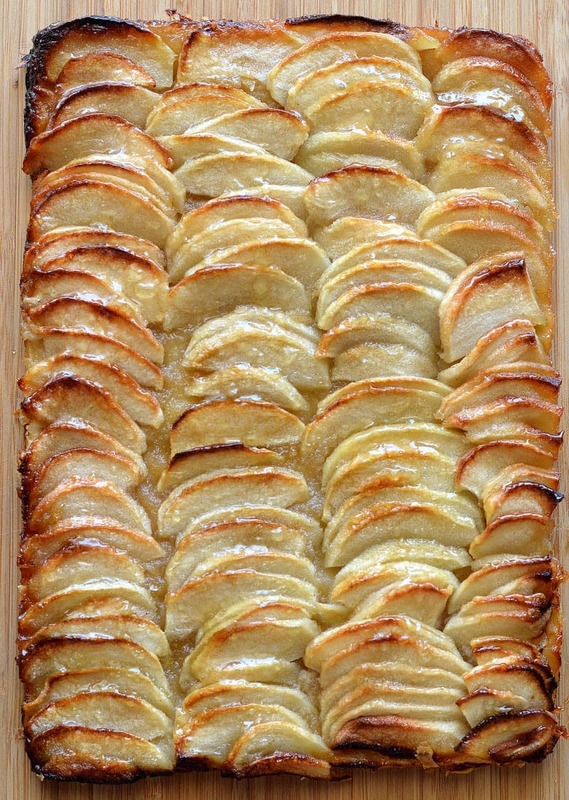 Place on a lined baking pan. Silicone or parchment. But this step is necessary for removal. Pinch together the seams and using a fork, dock the dough quite a few times to prevent the pastry from puffing up too much. Place the tray into the fridge to chill for 30 minutes. Meanwhile, you can prep the applesauce with the addition of cinnamon and sugar. We’ll also be needing some melted non-dairy margarine. Last, but certainly not least, peel, core and thinly slice the apples. Using a squeeze of fresh lemon juice will prevent them from discoloring. I like to halve the apples and make 1/4″ vertical slices. Keeping those halves intact as you slice allows you to easily fan out and place the apples on the dough. 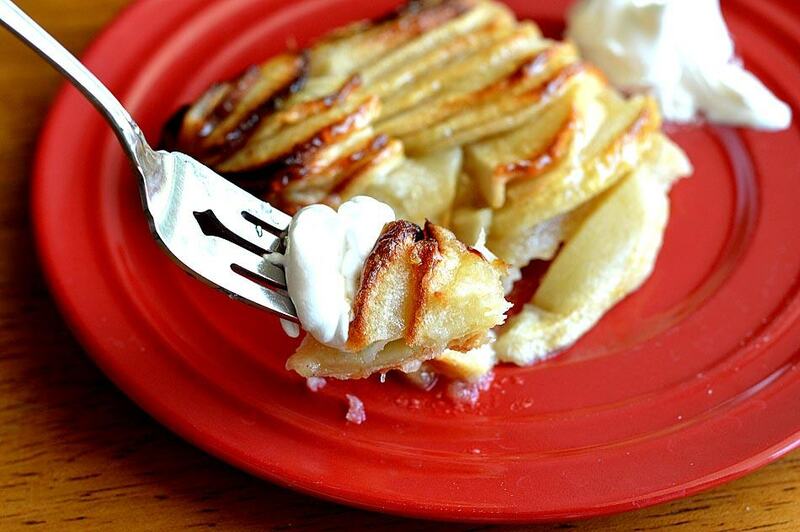 Remove the pastry from the fridge, spread a very thin layer of the cinnamon sugared applesauce and top with your apple slices. Brush on the melted margarine and top with a generous sprinkle of sugar. Bake until golden and caramelized, about 25-30 minutes. Allow to cool for a few minutes before serving, or chill and serve with a dollop of non-dairy whipped cream. You can also make your own coconut whipped cream or serve with a scoop of vanilla almond milk ice cream. 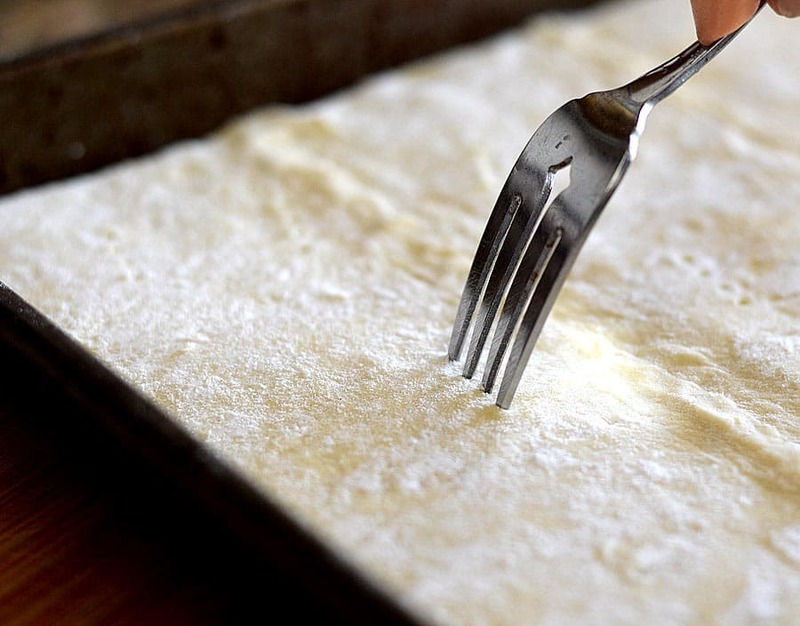 The puff pastry comes frozen, so there is a little bit of prep work to be done. First off, 40 minutes to thaw. Then unfold and thaw for another few minutes if necessary. Place on a lined baking pan. Silicone or parchment. But this step is necessary for removal. Pinch together the seams and using a fork, dock the dough quite a few times to prevent the pastry from puffing up too much. Place the tray into the fridge to chill for 30 minutes. Meanwhile, you can prep the applesauce with the addition of cinnamon and sugar. We'll also be needing some melted non-dairy margarine. Last, but certainly not least, peel, core and thinly slice the apples. Using a squeeze of fresh lemon juice will prevent them from discoloring. I like to halve the apples and make 1/4" vertical slices. Keeping those halves intact as you slice allows you to easily fan out and place the apples on the dough. Remove the pastry from the fridge, spread a very thin layer of the cinnamon sugared applesauce and top with your apple slices. Brush on the melted margarine and top with 1/4 C sugar. Bake until golden and caramelized, about 25-30 minutes. Brush the top with warmed apricot or apple jam. Allow to cool for a few minutes before serving, or chill and serve with a dollop of non-dairy whipped cream. You can also make your own coconut whipped cream or serve with a scoop of vanilla almond milk ice cream. I can’t wait till the apples on my tree are ripe! !